Obituary for Alexander David Cychmistruk | Swan Valley Funeral Services Ltd. It is with great sadness that we announce the passing of Alex Cychmistruk at the Selkirk Regional Health Centre on Wednesday morning, March 13, 2019, with his family by his side. Alex will be missed and lovingly remembered by his beloved wife Marlene; son Clinton (Karen); grandchildren Calleigh and Carly of Tampa, Florida; sister in law Adeline (Stephen) Day; niece Lindsey (Matt) Zirk all of Beausejour, Manitoba; cousins Mary, Nadia, Helen, John, Elsie, Harry, Shirley, Jean, Rose, Evelyn and Lawrence; Aunt Ruth Wallie (Herb) and Aunt Martha Parker. Alex was predeceased by his parents Tillie and Metro Cychmistruk; cousins Peter, Elsie and Zenovia; mother in law and father in law Marie and Dan Huff; Uncle Walter and Esther; Uncle John and Aunty Ann, Aunty Sophie, Uncle Peter and his aunt Sister Miriam Charles. Alex was born on July 17, 1949 in Dauphin, Manitoba and spent his childhood in Cowan, Manitoba. 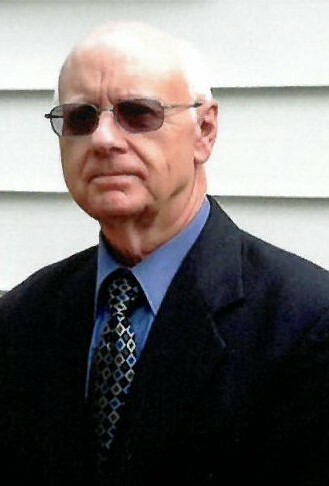 He was a dedicated loyal employee of Powell Motors GM dealership for forty-two years and two years at Swan River Key Chev Olds. Many customers coming into the dealership for service on their vehicles would request Alex to work on them. His work ethic spoke for itself. During that time, he also hauled machinery for several years for Powell Farm Supply, making friends with many farmers during his travels. A hard worker all his life, he finally realized it was time to retire. Alex enjoyed collecting old LP records, old Eatons and Sears catalogues, books and magazines from the past. He was an admirer of classic cars and always looked forward to going to the Classic Car Show in Beausejour each August. Alex always enjoyed attending the Cowan Suppers and reminisced with old school classmates. Alex enjoyed the great outdoors, whether being in his yard, or gardening, or cutting firewood for his wood stove downstairs for the winter. Above all he was a cat lover and would never turn his back on a stray animal, keeping it warm in the winter, feeding it and trying to find a loving home for it. He was always there to lend a helping hand to whom ever needed it, always putting others before himself. Alex was looking forward to an enjoyable retirement with his family but unfortunately fate dealt him a devastating blow when he was diagnosed with an aggressive form of cancer, cutting his retirement drastically short. He will be greatly missed by his family, extended family, and many close friends. Every where we look, we see his hard work and things he accomplished. We are so thankful for the amazing medical care Alex received during the last three weeks of his journey. We are forever thankful for the doctors, nurses and health care aides at the Selkirk Regional Health Centre for the care and compassion shown to Alex and his family in his final days. Many thanks also for the extra special care Alex received from Dr. Raflq Andani while in Swan River. An evening visitation was held on Thursday, April 4, 2019 at 7:30 p.m. from the Chapel of Swan Valley Funeral Services, Swan River, Manitoba. The funeral service took place from the Temple Baptist Church, Swan River, on Friday, April 5, 2019 at 11:00 a.m. with Pastor Neal Effa officiating. Interment was held in the Minitonas Cemetery. If friends so desire, donations in Alex’s memory may be made to: Swan Valley Animal Protection League, Box 2735, Swan River, Manitoba R0L 1Z0; or to Temple Baptist Church, Box 441, Swan River, Manitoba R0L 1Z0.